Plugs into market leading MTS test instruments to create the smallest, portable 100G test solutions for both out in the field and in the central office. 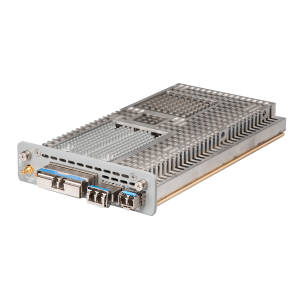 The CSAM provides 100 Gbps network testing flexibility in the most compact format. Test 10 Mbps to 118 Gbps with a portable test instrument that can test every interface in the central office. CSAM is unique in its support of 100GE LR4,SR10, and SR4 in one instrument.